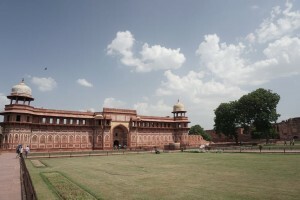 Delhi has been the Capital of Hindustan during Mughal and British rule in India. This makes it a big hub of history dating from 11th century. In the recent years, new monuments have been erected thus making it a great mix of past and present attractions. 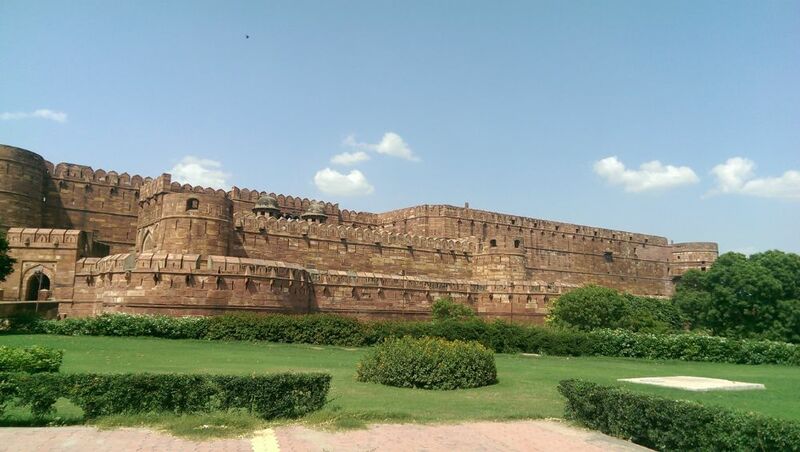 Additionally, its geographical location makes it a great place for day trips and short getaways as well. 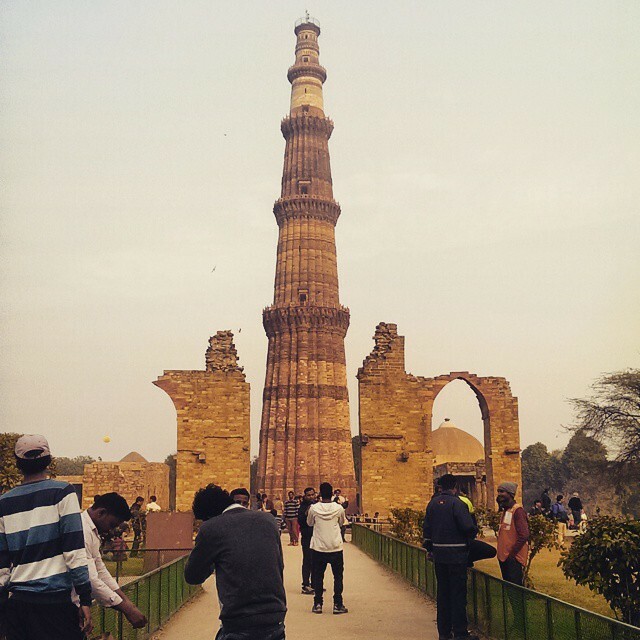 In the last few days, we have visited quite a few monuments and traveled around Delhi as well. 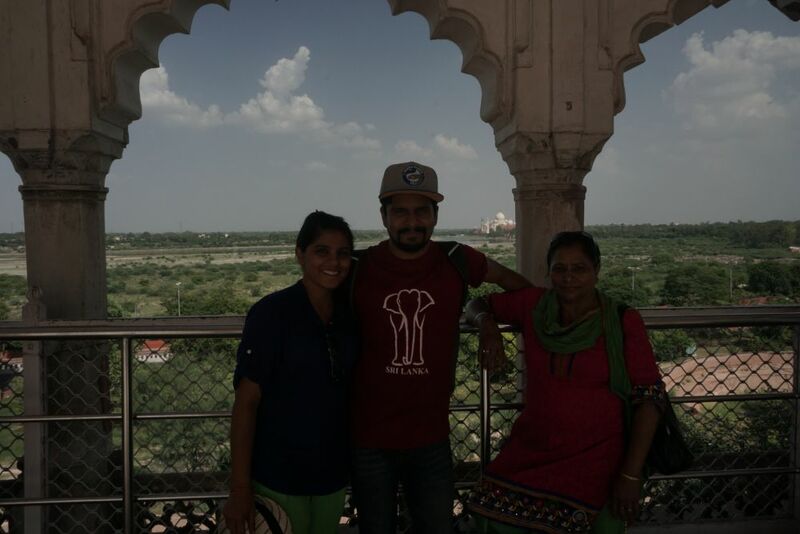 Though we couldn’t see everything the city had to offer, we did explore quite a bit. I must say, there is so much history here and it makes it evident that India was looted and ruled by loads of ‘outsiders’. 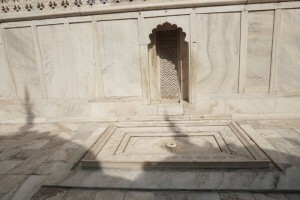 Capital during Mughal era built by King Shahjahan. It was the walled city of Delhi. 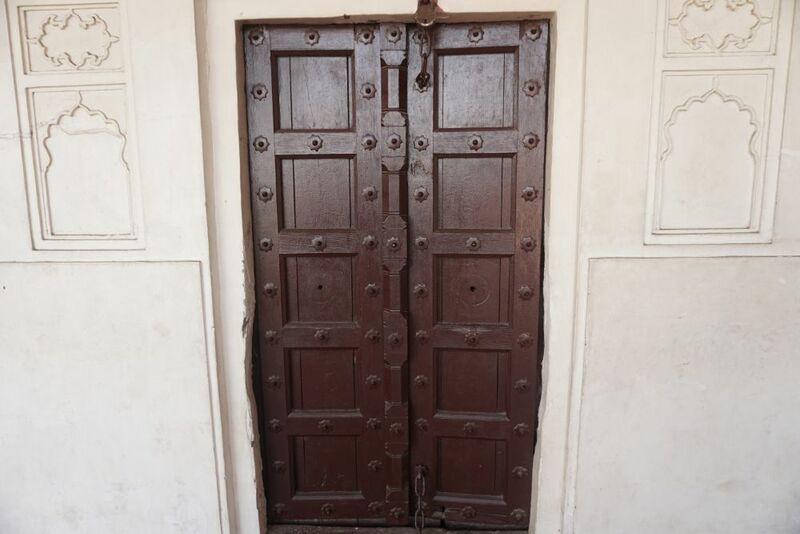 The walls were destroyed by the British but some remnants and gates remain. 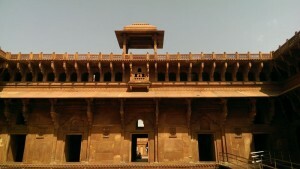 The palace of the walled city. 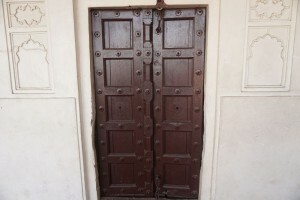 It housed the royalty from the 16th century to 19th century. 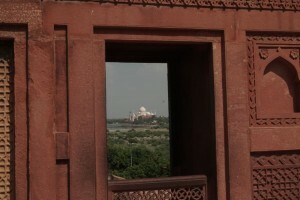 Every year, the Prime Minister of India delivers the Republic Day and Independence Day speeches from its ramparts. 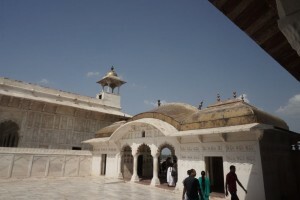 Though it appears grand and stupendous, in reality, many of the building inside were destroyed by the British after they won the war against Indian forces in 1857. 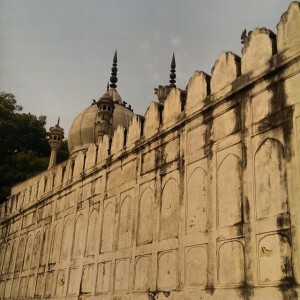 It was the royal mosque of Delhi. It is a magnificent building overlooking the markets and the Red Fort. Tip: Women may need to dress conservatively but they provide a full length robe for a small price. Moonlight/sparkling market with small lanes and shops. 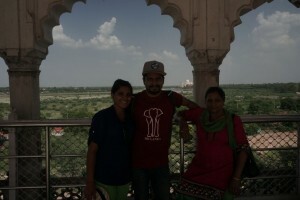 It still is the heart of Old Delhi. 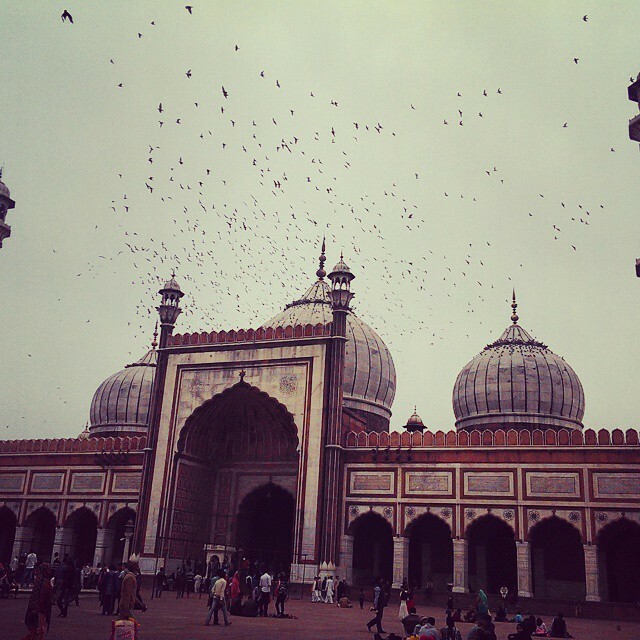 In my opinion, Chandni Chowk is the stereotypical Delhi. 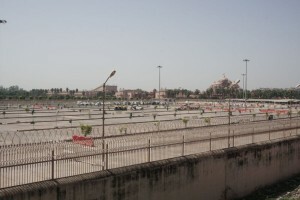 You will find animals, rickshaws, cars, trucks and people on the same road. Somewhat amazingly, it all works and people are able to go through their daily chores without hassle. Each lane in Old Delhi sells something different and are known as bazaars. On a normal working day, it is very difficult to walk against the moving crowd. 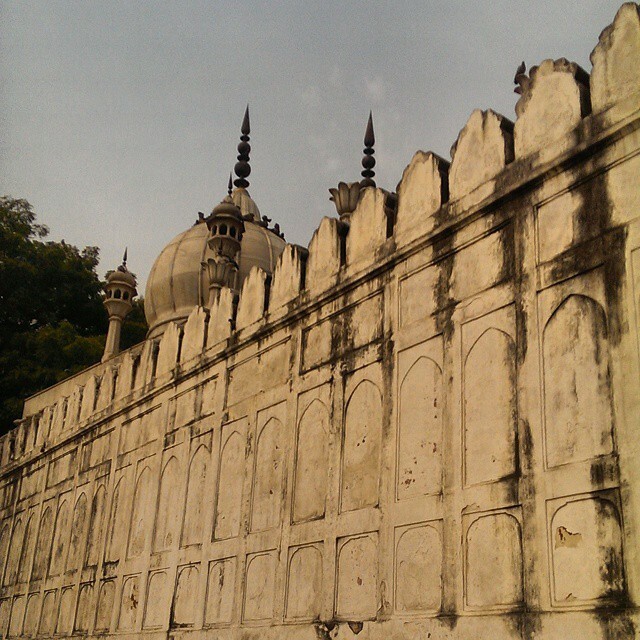 Some lanes are 5-6metres wide and shared by people on foot, rickshaws, hawkers, two wheelers and cows. It is definitely an experience that can only be gained by walking around the area. Indians love food. Period. Due to the number of people and cuisines, Old Delhi offers some amazing foods. There are traditional fast food shops, parantha (stuffed pancake) shops and kebabs. The kebabs are spicy and you can wash it down with a chilled glass of Mathura Lassi. It is the local variant of the restaurant kind. Tip: Please be aware that Delhi Belly could be a common occurrence. Always buy bottled mineral water or sealed cold drinks. Built by Qutubuddin Aibak in the 12th century after his victory over the local Hindu kings of India. 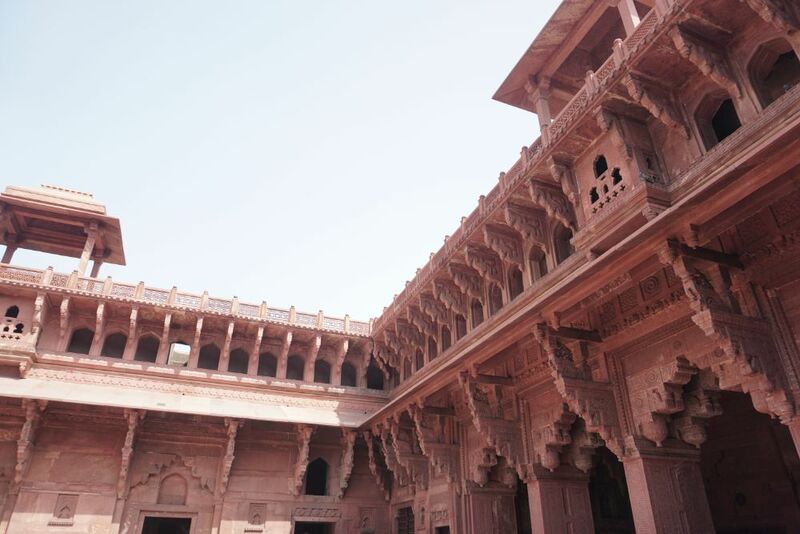 Its a 20 metres high tower made of red stone with delicate carvings which has stood the test of time. 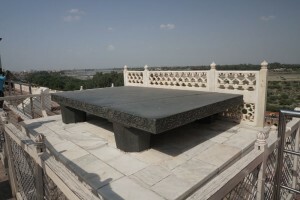 This particular king destroyed Hindu temples and placed pillars from these temples in the complex. 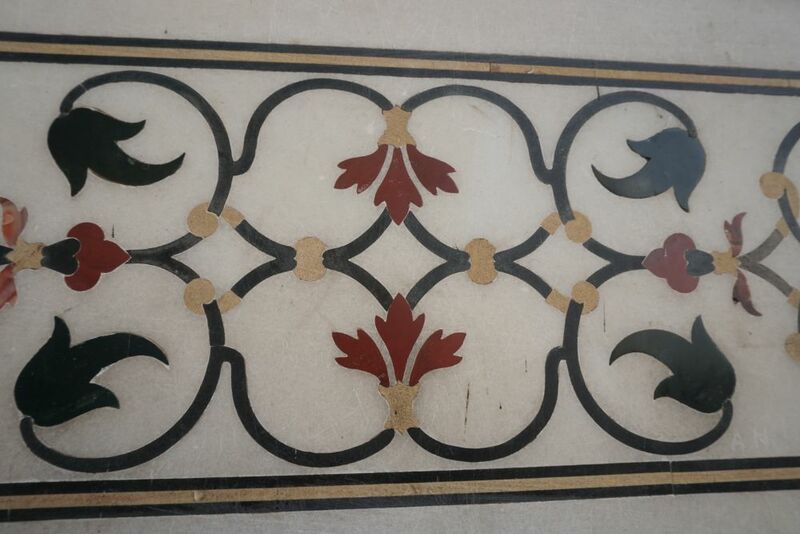 Built by the followers of the Bahai religion in 1980s, it is now a symbol of Delhi. 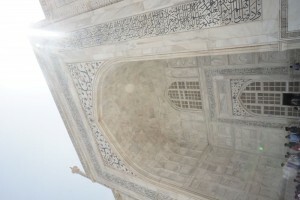 It is a beautiful white building resembling a lotus flower and the ambiance inside is peaceful. 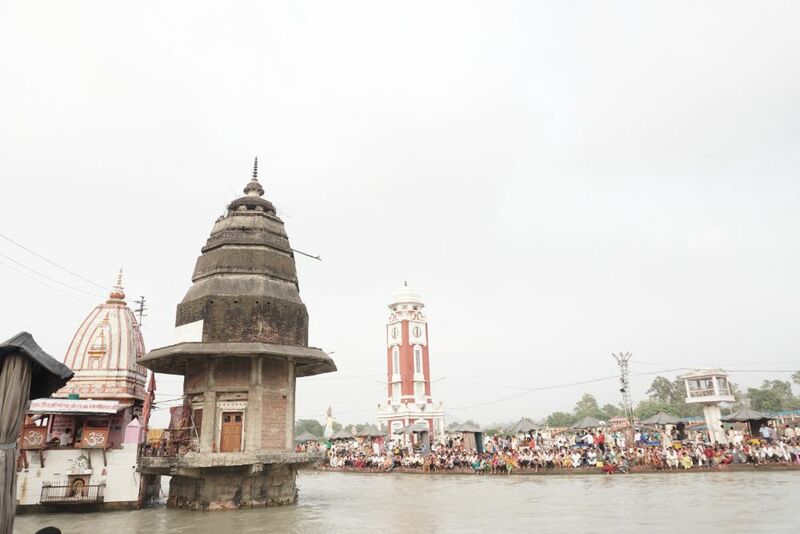 Built in 2005 by the followers of the Swami Narayan sect of Hinduism, it is the largest Hindu temple in the world. 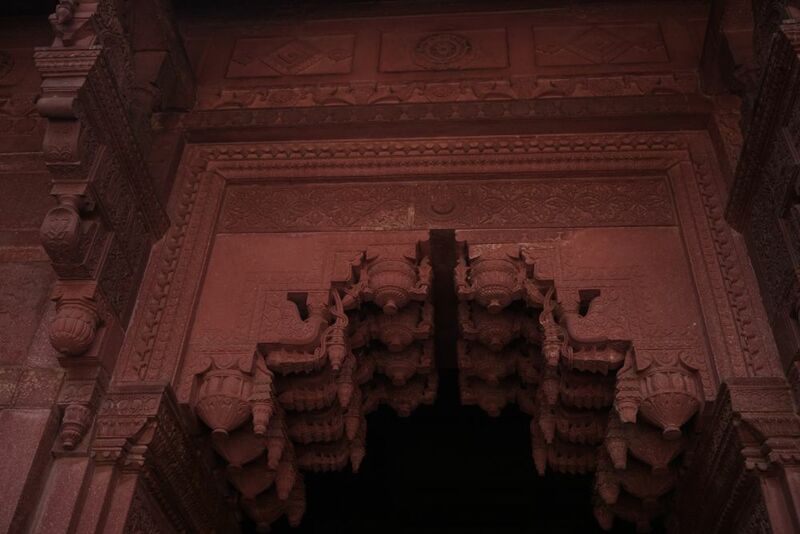 Its made of pink and red stone and the architectural carvings are extremely detailed. 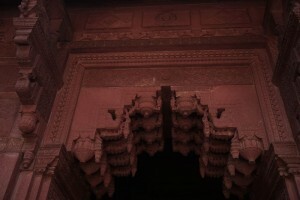 There are 3 exhibitions which are a part of a journey through the history of the sect, Hinduism and India. The exhibitions and the lights and sound show are very much recommended. 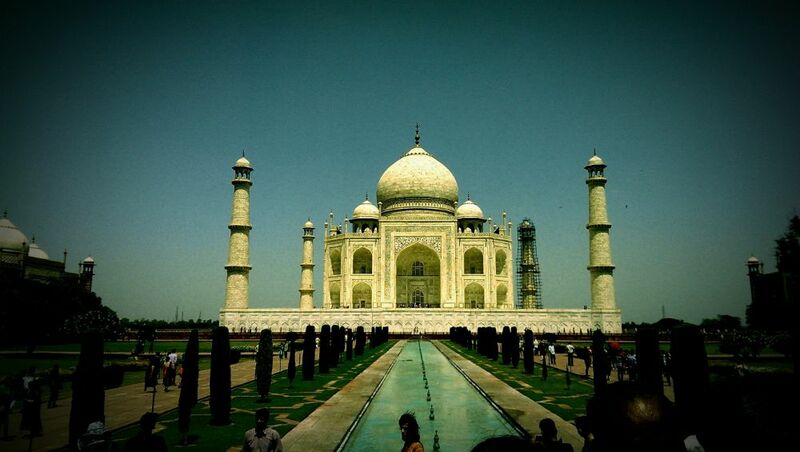 The ideal time to visit is around 4:30pm as it can be very hot and the lights and sound show is at night. Take note, you are not allowed to take any electronics inside – so forget about taking photos! 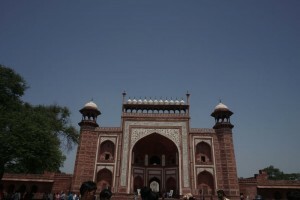 New Delhi was built by the British as their capital in the early 20th century. 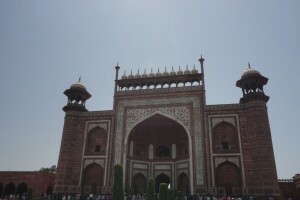 It was planned by Edwin Lutyens and it is now the capital of India. 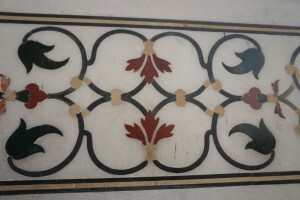 It is contrasted from Old Delhi by its wide streets, trees and cleanliness. The opposite of Old Delhi, New Delhi makes one feel like they are no longer in India. It is too organized to be India. It is formed by an inner circular road and an outer one with shops and markets in both. 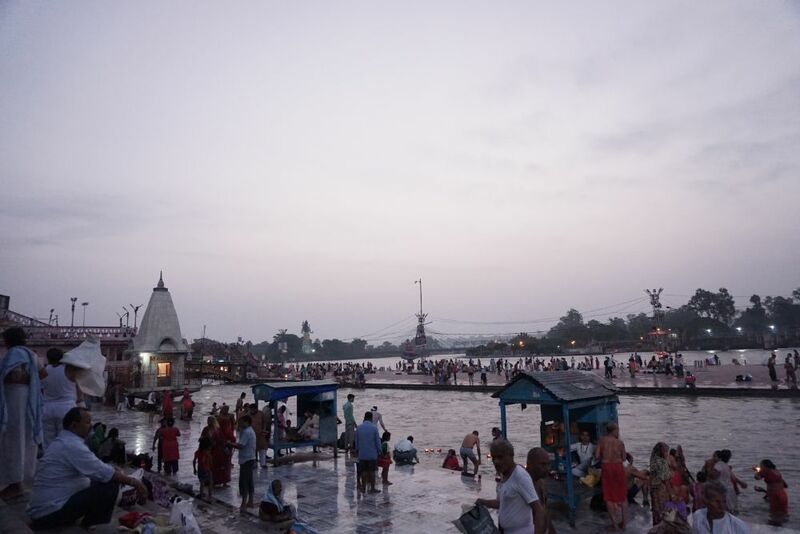 This area offers a wide variety of shopping ranging from brand outlets in the shops to street markets in areas such as Janpath and Palika bazaar. 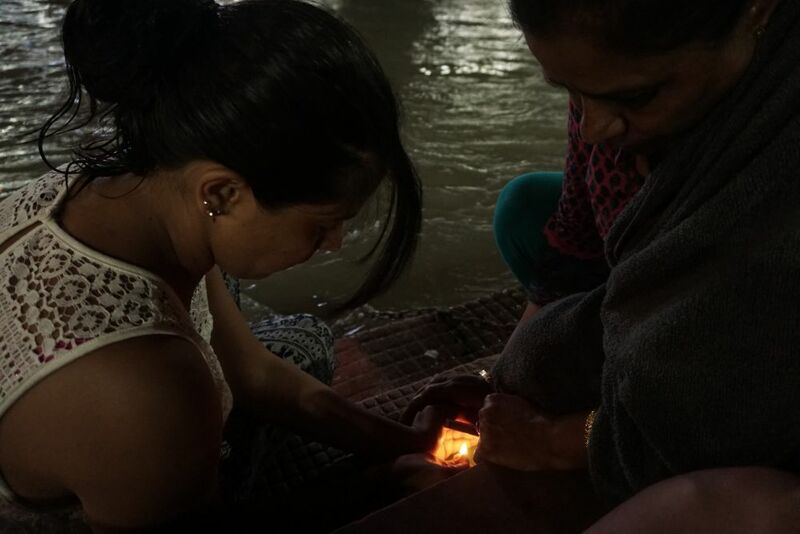 We picked up trinkets and souveneirs on the street for a small price. Similarly, we were able to bargain for clothes in the Janpath markets. Tip: Make a judgement call but it is recommended to start with half the price of the shop owners and meet them in the middle. 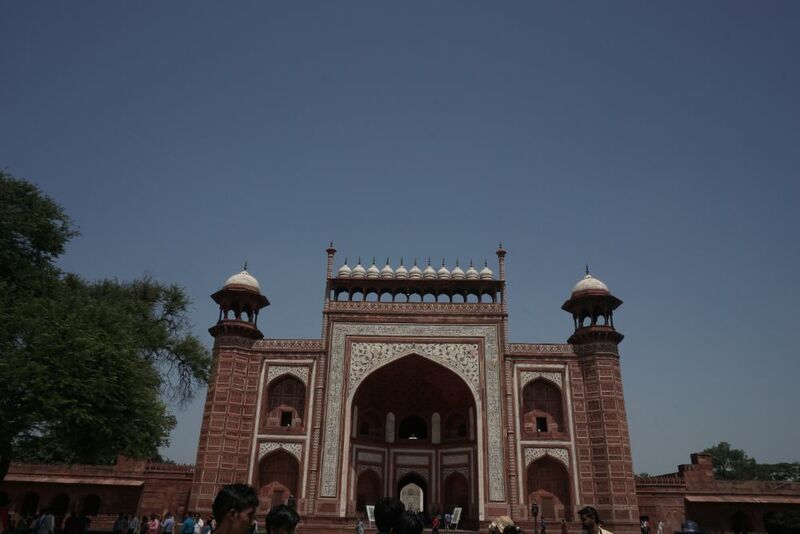 This area has a wide range of monuments such as the Indian Parliament, India Gate, Museums and Embassies. These towns are around 5-6 hours from Delhi along the river Ganges. At least two nights stay are recommended to enjoy the ambiance. Haridwar is a Hindu pilgrimage centre and Rishikesh is famous for Yoga, white water rafting and Hippies. 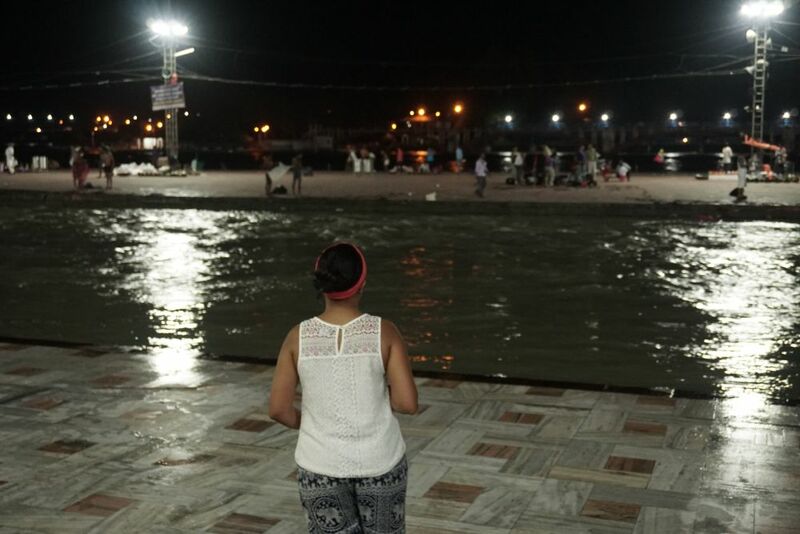 Taking a dip in the gushing current of Ganges is set to wash away all your sins. 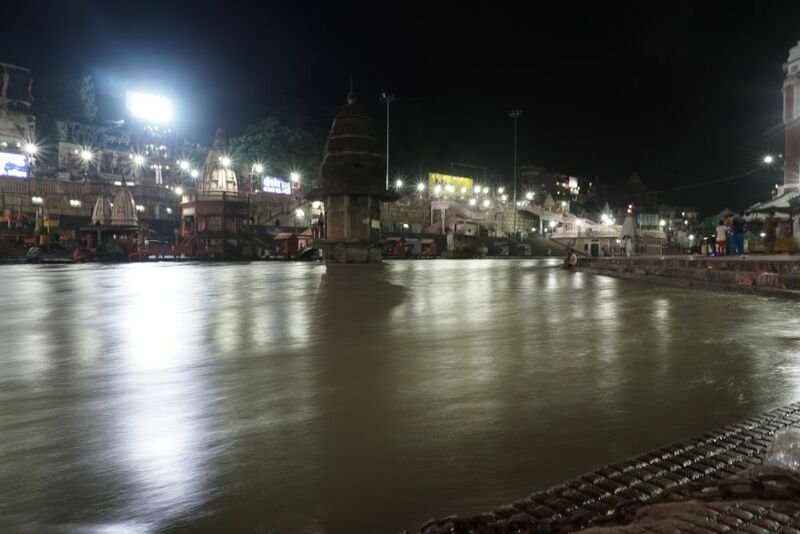 The evening aarti (prayer) in Haridwar at Har ki Pauri is a must watch. Tip: Be mindful of the conservative crowd and the religious significance of the place. Be careful of the priests and beggars. It is recommended to ignore them or turn them down humbly otherwise they will nag you. 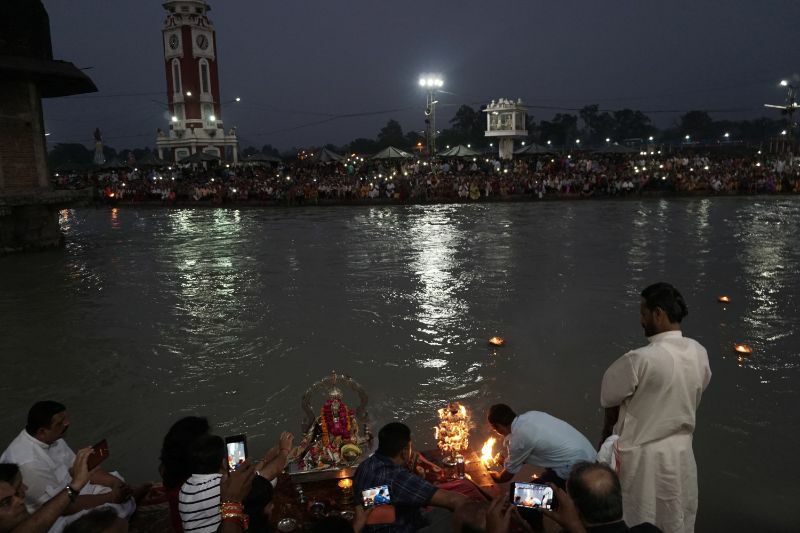 Additionally, once the aarti has concluded, the crowd rushes towards the river for blessings, either walk along with the crowd or step aside to avoid any accidents. 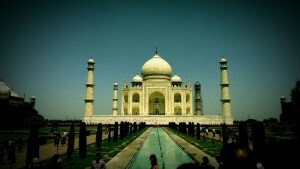 Taj Mahal – It is the most famous Indian landmark in the world. 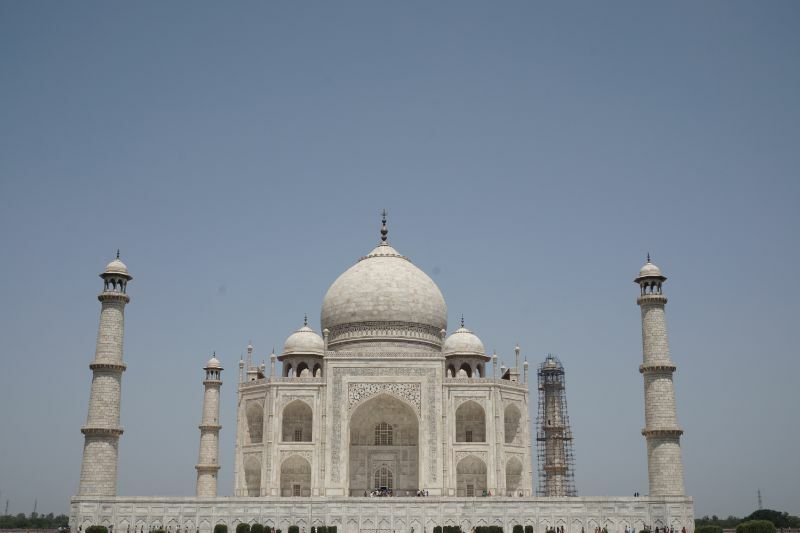 It is a grand and beautiful building made of white marble by Emperor Shah Jahan after the death of his wife Mumtaz Mahal. 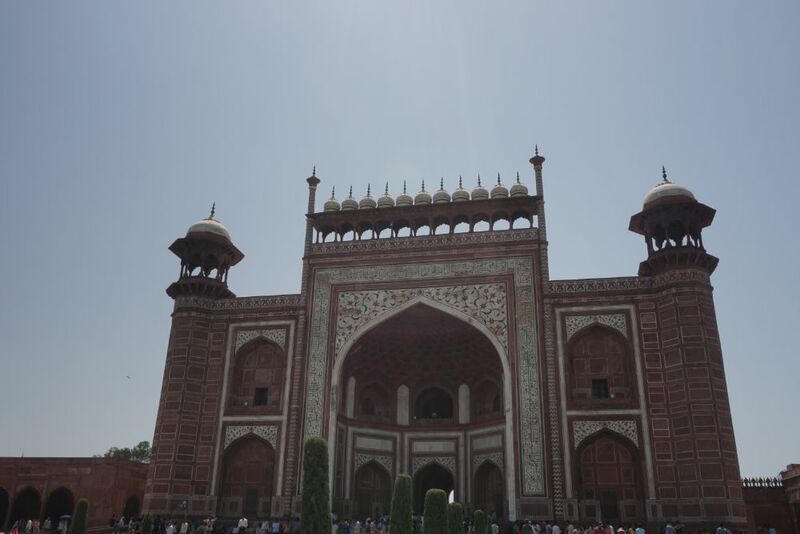 It was commissioned by the Emperor in 1632 and completed entirely in 1653. 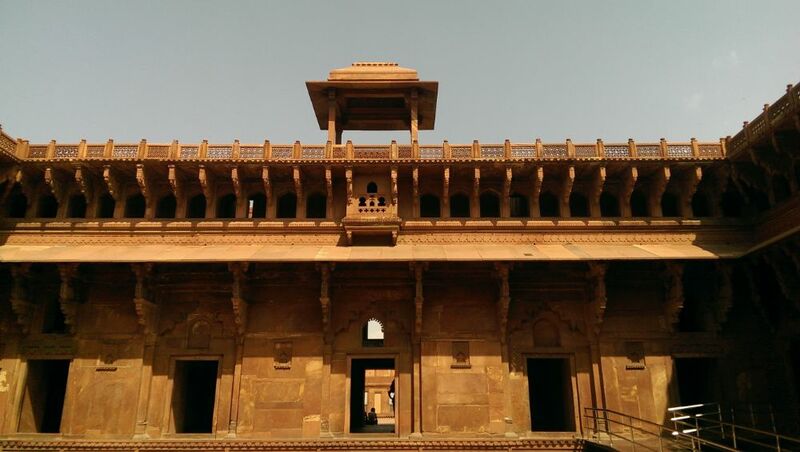 The building is the best example of Mughal Architecture in India. 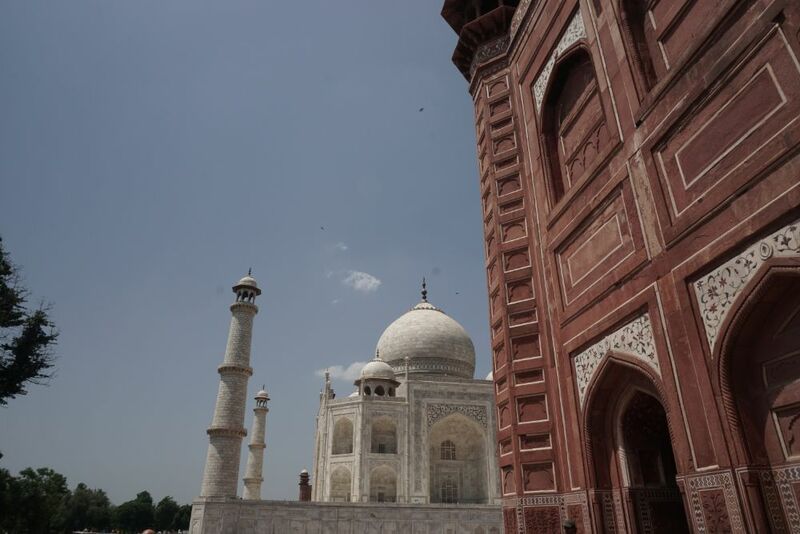 Tip: The Taj Mahal can be seen for 5 days at night every month, two days before and after the full moon and the full moon night itself. 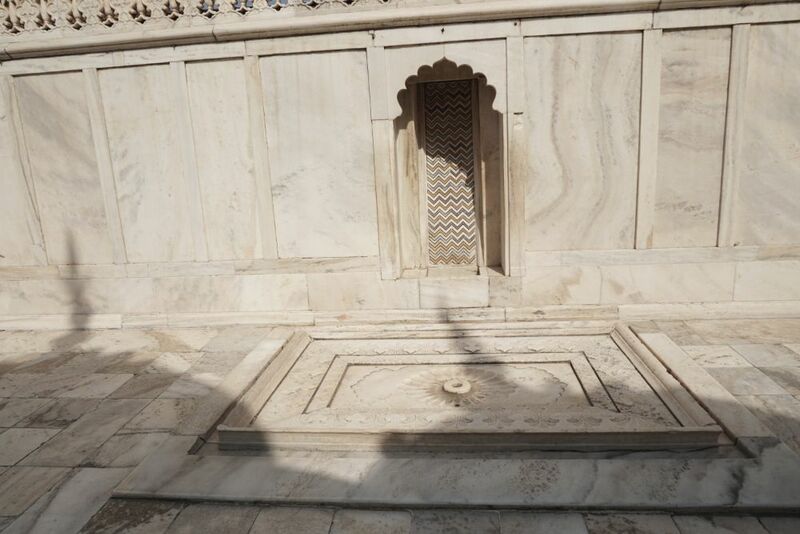 The light from the full moon makes the white marble glow. Red Fort – The primary palace of the greater Mughal rulers, it is around 2km from the Taj Mahal. 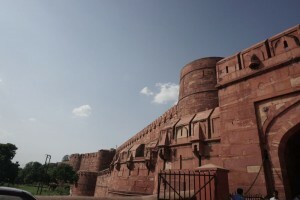 The fort is built of the red stone like many other buildings in India and houses some amazing examples of architecture from around India. 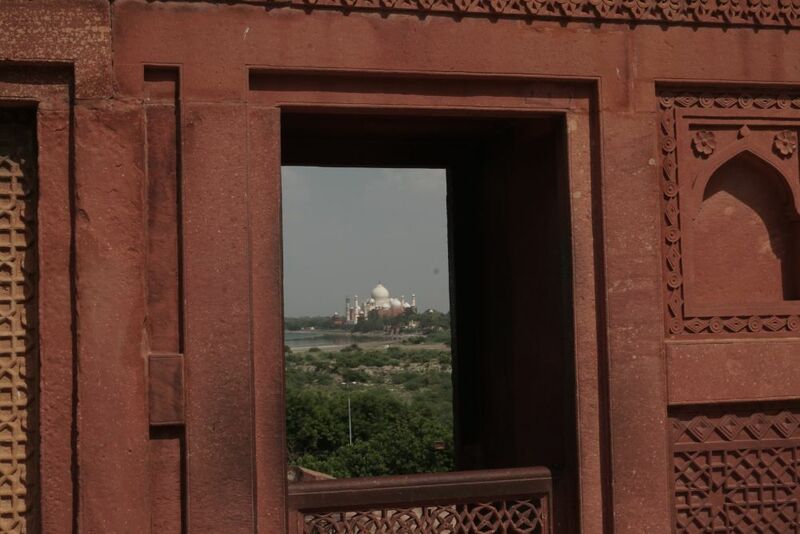 As the Taj Mahal was built after the Red Fort, from almost every part of the fort one can see the Taj Mahal. Also, walking around the Red Fort made me feel I was on the sets of the hindi movie, Jodha Akbar. Tip: Guides are available at a small cost and they show you some amazing secrets of the fort. 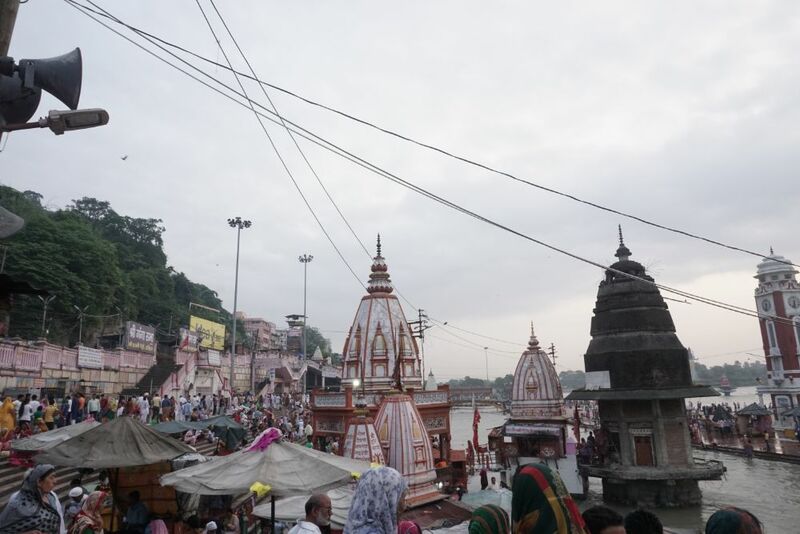 It is the town where Lord Krishna was born and spent most of his young life. 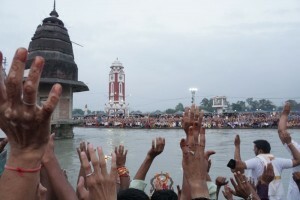 This is a small village around 2-3 hours from Delhi full of temples and religious fervor. 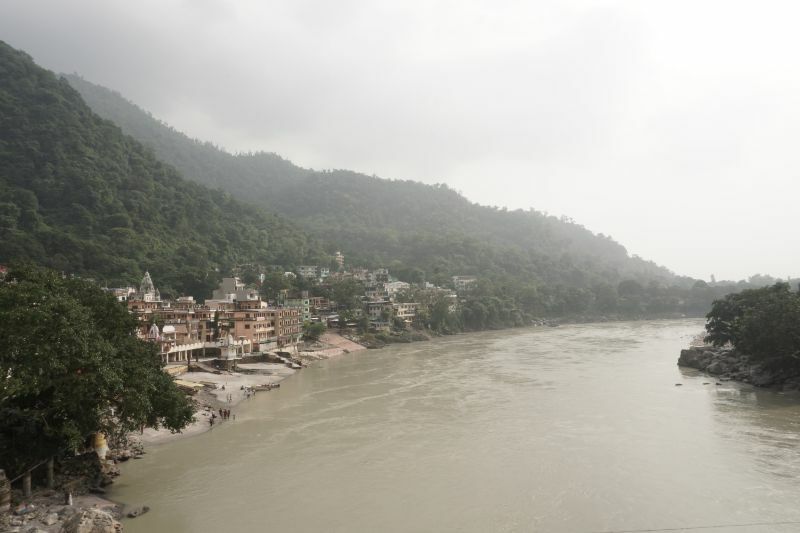 This town has a lot of legends to tell of Krishna and Radha, his childhood sweetheart. 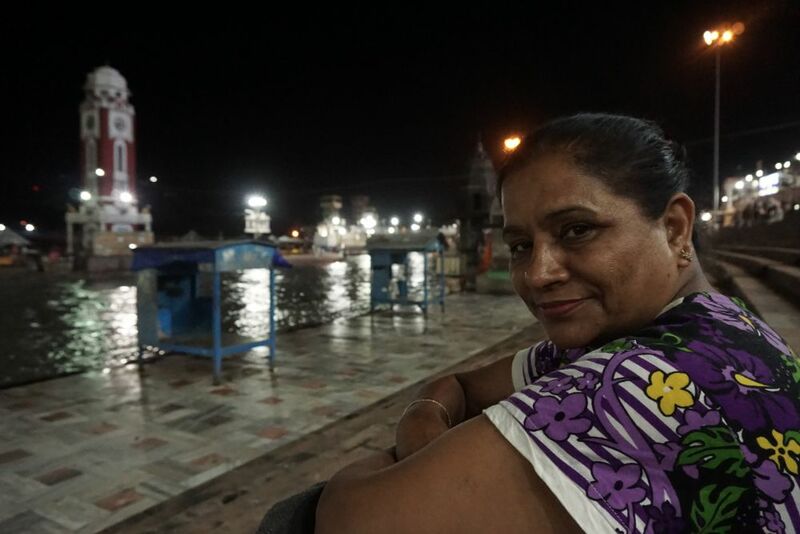 In our experience, we only went to Banke Bihari temple but stopped for the famous local lassi and aalo tikki chaat before taking the bus home. 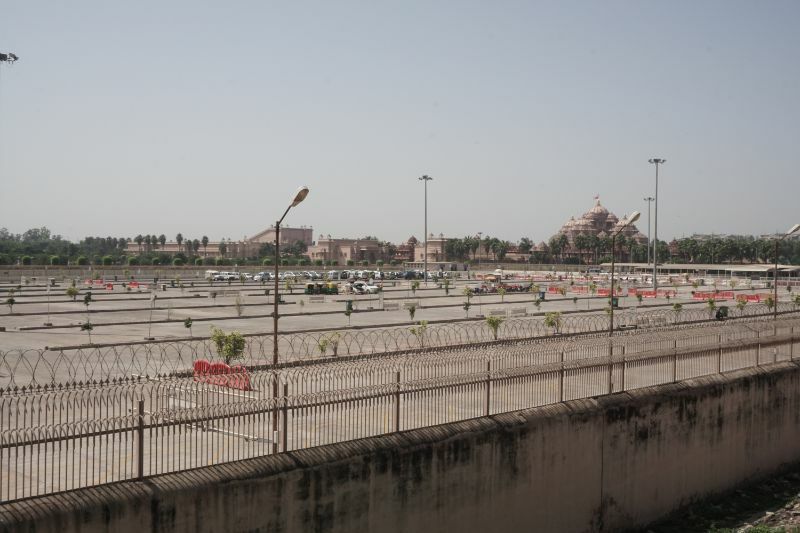 As Delhi is the capital of India and shares border with 2 states, Uttar Pradesh and Haryana, there are lots of transport options available. This is by far the best mode of transport within Delhi. The metro has connected most of the suburbs and attractions, thus making it very easy to move around. Tip: The people at the station and inside the train are generally helpful so feel free to ask someone if you think you are unsure or feel lost. The metro can be very crowded during peak time so be mindful of that. Get yourself a smart card as queuing for tokens can be rather painful due to the crowd. Also, you will be saving some money too. In the city, tuk tuks use a meter system which avoids a lot of haggling for fare. Tuk tuks are generally used for distances more than 5km. The city offers rikshaw as a cheaper mode of transport for short distances, under 5km. These usually run based on sharing or you could hire an entire rikshaw by paying slightly more. There are lots of private and shared cabs available around the city. Hotels usually provide car hiring service (with a driver) which can cost about Rs 1800-2000, ~AUD40. 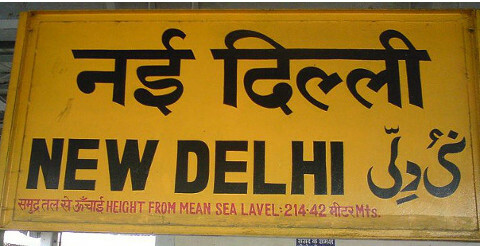 For short getaways or day trips from Delhi, there are lots of inter-state buses operated by the Delhi and neighboring state government. Some of the popular routes have AC and Volvo bus options as well. Alternatively, there are plenty of private buses operators too. As India is a big country, it’s Railway System is very well connected. 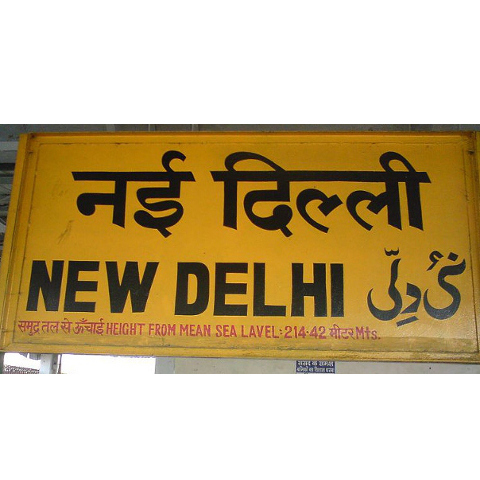 If you are keen to travel to other parts of India, train is a good option as well. The Govt. 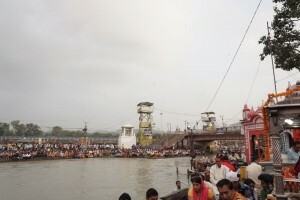 have provided numerous online portals to check for train schedule, plan journey, check rates and also for booking. 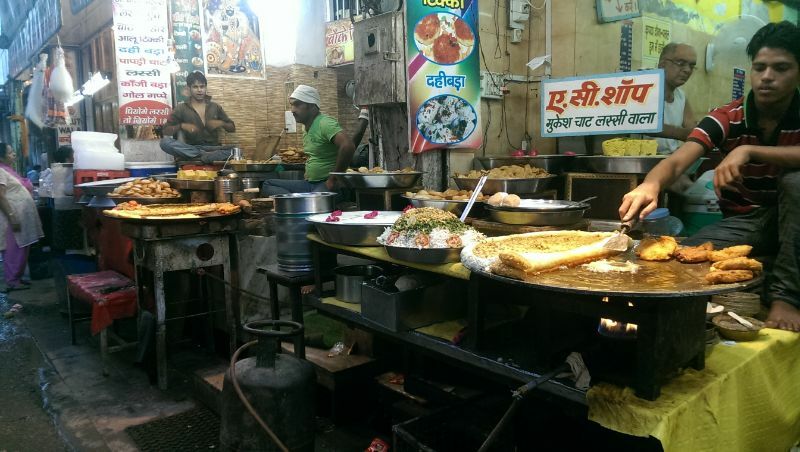 India is known of it’s street food and also the Delly Belly it can cause! Our recommendation is to skip these all together. 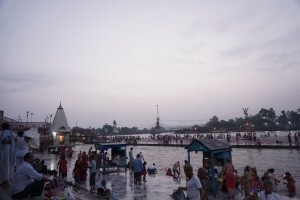 Local cuisine can be enjoyed from sweet shops and dhabas. These outlets usually prepare fresh food each day. Tip: Ask your hotel operator or a local for recommendation. There are lots of fast food and restaurant options available across the city, usually in malls. These outlets serve various cuisines from across India and other popular international cuisines with an Indian touch.